The new composite forks with built in fenders are just one of the five vibration-absorbing materials in the new XLQ hybrid construction. The three XLQ98 models are identical except for wheel speed. The composite shaft for the XLK98 Series roller skis is made with six different materials. All six materials have exceptional vibration damping properties and three of the materials provide high strength and fatigue resistance. The foundation for the XLK is a precision lightweight core that is wrapped with several layers of unidirectional fibers with tensile strength equal to carbon fibers, but with better vibration damping properties. We chose Kevlar™ for the biaxial sleeve due to its exceptional tensile strength and tenacity. The epoxy we use to bond the fibers to each other and to the core is 3X stronger than conventional epoxy. The Kevlar™ is protected from UV degradation by a 0.25mm thick polymer applied over the fibers and UV resistant epoxy. The four XLK98 models are identical except for wheel speed. The XLK98F is fast, The XLKM is medium, the XLK98MS is medium slow and the XLK98S is slow. The rolling resistance of the slow wheels is increased using our patented ISR (internal speed reducer) that weighs only 10 grams. The wheel forks, with the built-in fenders, use the same strong Du Pont™ composite material that we have employed on the V2-900 and V2-800 series for many years. Wheel Hub: The custom hub is made of aluminum and designed by Jenex. Rubber composition: Highly abrasion resistant rubber with a durometer of 82 shore A. 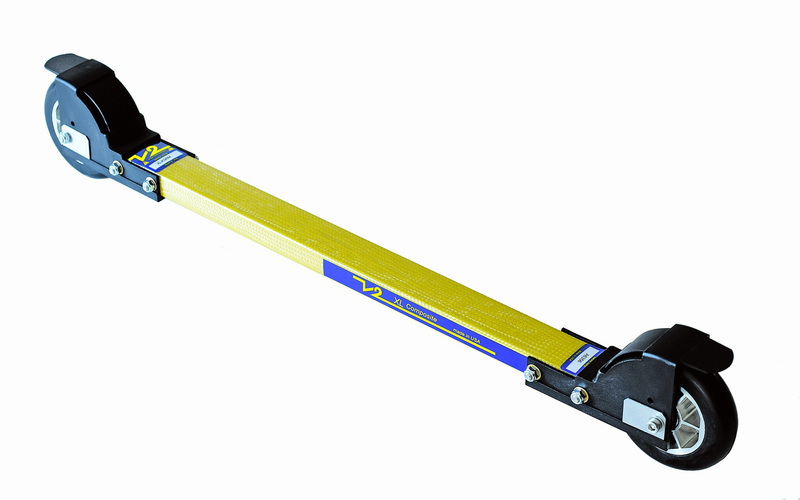 Wheel Forks are designed so that tracking can be adjusted. Wheel Dimensions: 100mm X 24mm wide. Bolts: Forged 7075 T6 aluminum and protected with black anodize. Replacement wheels: W98RM medium speed, W98RS slow speed.